The homicide detective warned Susie Messer not to go alone to the home where her sister was killed by her longtime boyfriend. We can't clean up a crime scene, he told her. This just happened. Don't go through it by yourself. 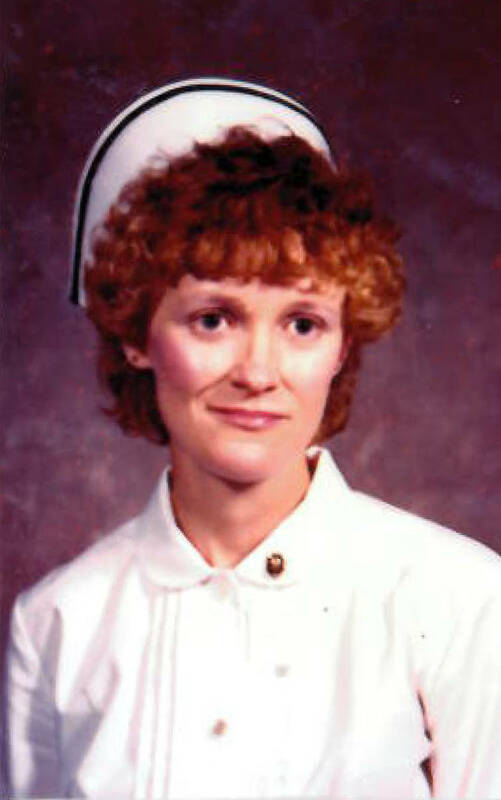 Deborah Steele, 58, is seen in this undated nursing graduation photo. So Messer brought two of her childhood friends along the first time she went back to her sister's Hixson house, days after Marcus Slattery, 44, slit 58-year-old Deborah Steele's throat and then shot himself and their dog to death on May 8. Messer was unprepared for the horror. Police found Steele's body in a bed. When Messer walked through, her sister's body was gone but Steele's blood had soaked through the mattress and into the hardwood floor. In the living room, where Slattery, who was bipolar, shot himself and then the dog, Messer pushed aside a recliner without thinking, irrationally trying to straighten up. The leg of the recliner snagged on a chunk of human tissue. "I don't know why I thought I should straighten up a little bit before this bio-hazard team came through," Messer said, barely audible. "It's my fault for moving the recliner, but I — I didn't know that was there. I'm shattered, through and through." The house was in shambles, too, with stuff thrown about and splattered with blood. Two lives ended on May 8, and two families are still reeling from the loss. In the weeks that followed, the house in Hixson — home for both the suspect and the victim, the last place they were alive — became the center of the two families' interaction, holding them in inescapable orbit. Messer met Marcus Slattery's parents for the first time in late June, on her sister's porch, a month after the deaths. Messer was there to meet with an insurance adjuster, one of several tasks involved as the executor of her sister's estate. Slattery's parents, Patricia and Ian Slattery, came to the door and asked, in an English accent, Messer said, if she would like to come over for tea. Marcus Slattery, 44, killed his long-time girlfriend, Deborah Steele, 58, and then himself in their home in Hixson on May 8. Slattery was diagnosed with bipolar disorder, records show. Messer pointed to the insurance adjuster behind her. I'm dealing with this today, she said. They wondered if she could find one of Marcus's mugs, one they wanted to keep to remember him by. Messer ran upstairs, found a mug, and brought it down. It was the wrong mug. "I can't deal with this," she told them. On Aug. 10, the Slatterys filed a claim against Steele's estate for $40,500 worth of their son's belongings. The list filed in court names 36 items, including watches, furniture, diplomas, guitars and knives — that the family would like returned. The filing — and especially the request for knives — infuriates Messer, since Slattery cut her sister's throat. "He slit her throat from ear-to-ear and you [ask for] knives?" she said. But Patricia and Ian Slattery said through their attorney, John Morgan, that they hadn't realized that Steele's throat was cut. Police initially said Steele had been shot, like their son, and only a later autopsy revealed she'd been cut. And it's not about money, Morgan said. "[They] just simply — he was their only son," Morgan said. "They're heartbroken too, and they'd like to have something to remember their son by." Deborah Steele, 58, is seen here in this undated family photo with her dog, Lulabelle. Steele was stabbed to death by her long-time boyfriend, Marcus Slattery, on May. 8. 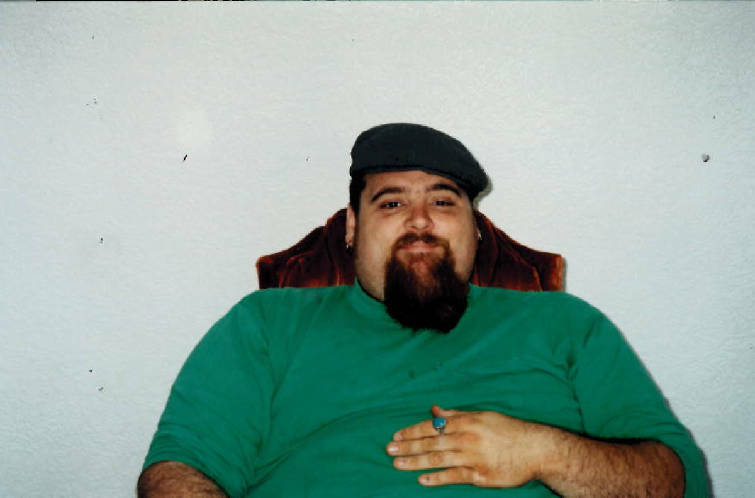 Slattery also shot and killed Lulabelle, then committed suicide. The Slatterys declined to speak with the Times Free Press directly. Morgan said the family only opted to go through the court system as a last resort. "There was no other choice but to go through the courts," he said. Messer said she doesn't have any interest in withholding Slattery's belongings, but she feels the process is happening too soon. "If it were two years down the road and I had not given them one thing of their son's, I could certainly understand that," she said. "I just feel like they never gave me a chance." The bio-hazard team is gone from the home now, and they took the blood and gore with them. It's been four months since Steele and Slattery died. Both were registered nurses. Neighbors said they were quiet, good folks to have next door. Messer misses her sister every day. "When I drive into the subdivision, I start crying," she said. "My heart is really broken." She's still working to repair the house, and she hasn't decided yet whether to sell it.